Dell Vostro laptops are used primarily in a business capacity so keeping them fully charged is obviously very important if you want to have constant access to all the information stored on your notebook. Choose a high quality Dell Vostro laptop charger to keep the battery of your Dell Vostro computer topped round the clock. 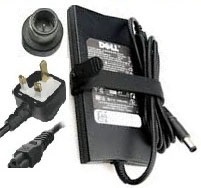 A good Dell Vostro laptop adapter will also enable you to run your laptop from the mains when you are in the office. Pick out your Dell Vostro model in order to find a compatible laptop charger from amid the range in our online store.